Getting from an empty piece of paper to an interactive marvel is never as simple as going from point A to point B. The places you wind up on the journey are all part of the fun. Eric Gradman is an inventor and entertainer who makes others see technology as magic. 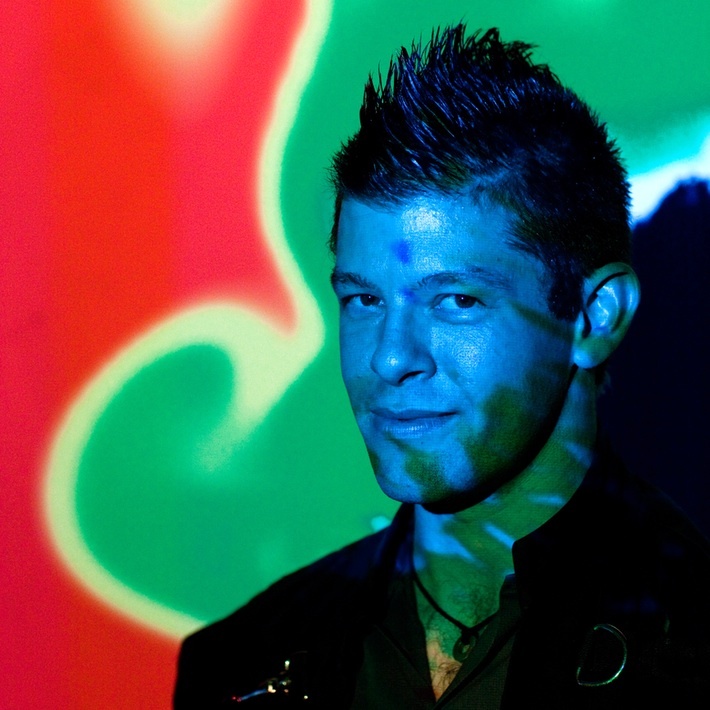 He has a colorful history as a circus performer, professional whistler, roboticist, and rapid prototyper. He co-founded Doppelgames, a Los Angeles location-based gaming studio. He is also one of the founding members of Syyn Labs, a group of artists, thinkers, technologists, engineers and scientists who build and twist together art and technology in original inventive ways. From its humble beginnings as "a drinking club with an art problem" the group's work became a viral sensation in 2010 when it co-directed OK Go's This Too Shall Pass music video, which has been viewed over 35 million times online. Its unique assembly builds creative contraptions and interactive installations that encourage audiences to play together by lowering social barriers. The Syyn Labs members have designed and developed an elaborate portfolio of proprietary technological marvels including the DNA Sequencer, ArtFall, an interactive whiteboard; Rubens Tubes, a sound-reactive fire sculpture; Sonic Stalagmites, painting with sound and the Cloud Mirror, which uses augmented reality to bring an event's badges to life. Their exhibits have been showcased in commercial spots for Comedy Central, Disney XD, Google and Young & Rubicam, and exhibited at LACMA and the Santa Monica Glow Festival. Syyn Labs has also be featured extensively in the media, including WIRED, The Wall Street Journal, Rolling Stone, CNN, the Los Angeles Times. Video by Cindy Denison. Higher resolutions available at Confreaks.